1. 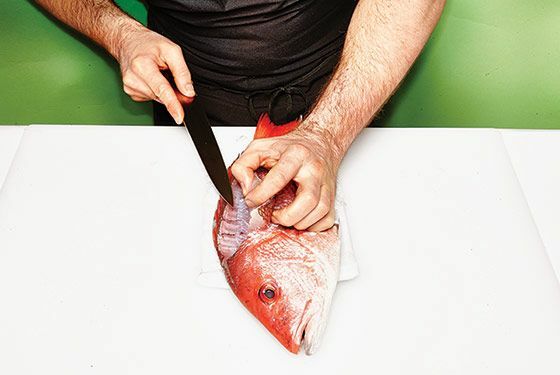 With a boning knife, slice through the skin between the thigh and body, and pop the thigh joint out of its socket. 2. 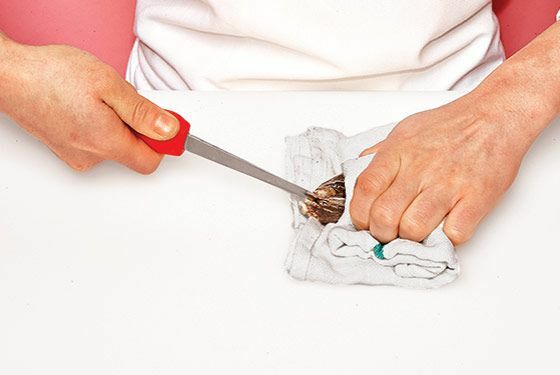 Slice off drumstick. Repeat on other side. 3. Slice along the keel bone of the chicken on both sides. 4. 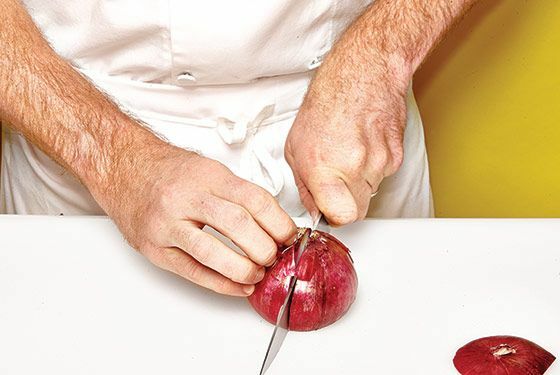 Slice off breast. Repeat on other side. 5. Remove wings if desired. 1. 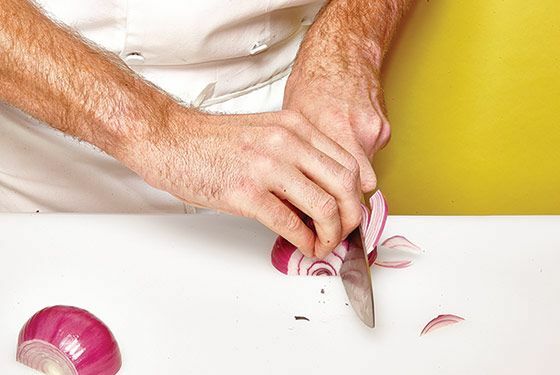 Halve onion lengthwise with a chef’s knife, skin on. 3. 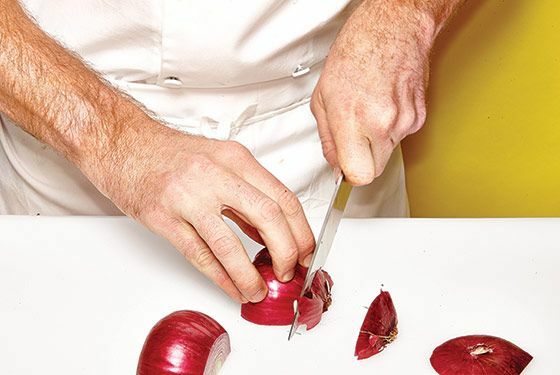 Cut off top and bottom of onion. 4. 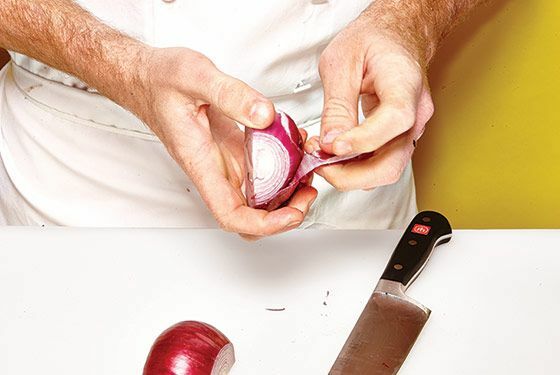 Slice thinly across the onion half, fingers curled against the blade. 1. 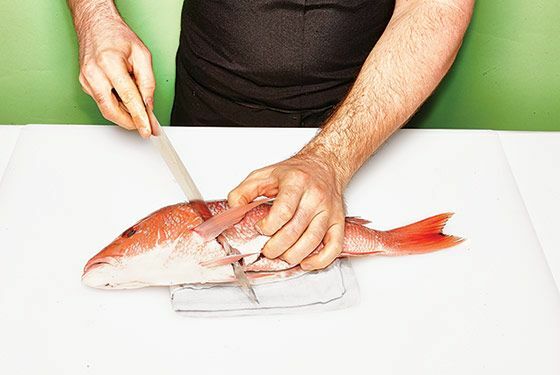 With a slicer, cut fish underneath fin diagonally. 2. 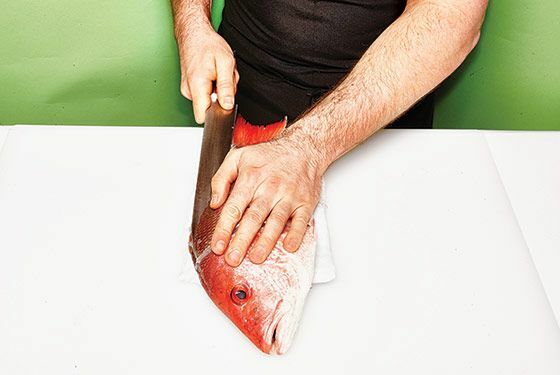 Cut skin away from the top of the fillet. 3. 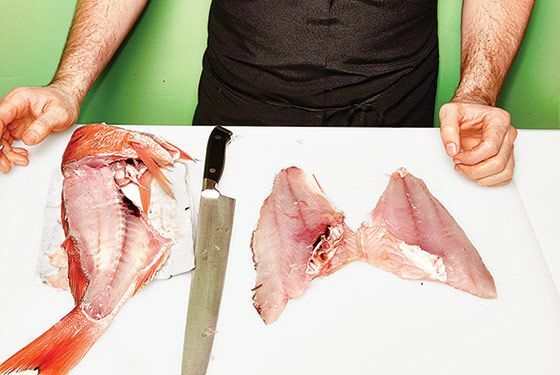 Run knife underneath the flesh of the fish. 4. 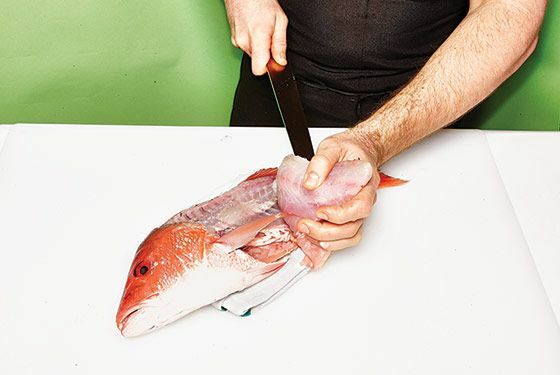 Push knife gently under fillet to remove. 1. 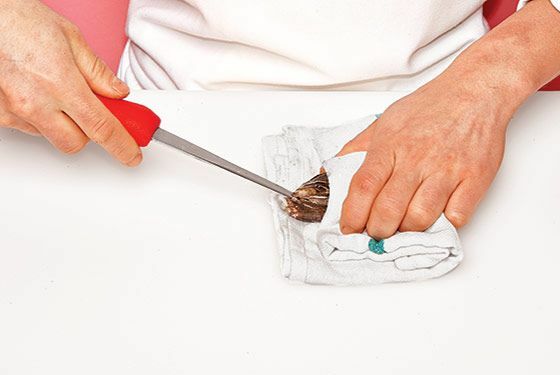 Hold the oyster in your nondominant hand with a cloth. 2. 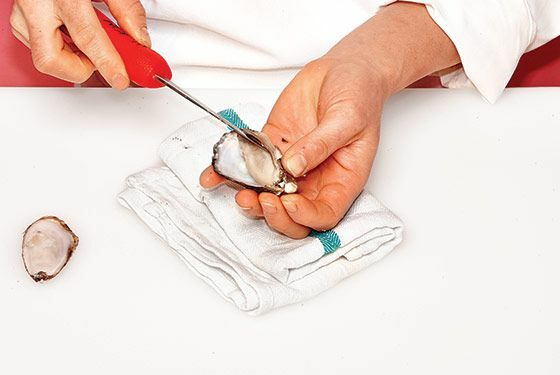 Insert the tip of your oyster knife into the hinge. 3. 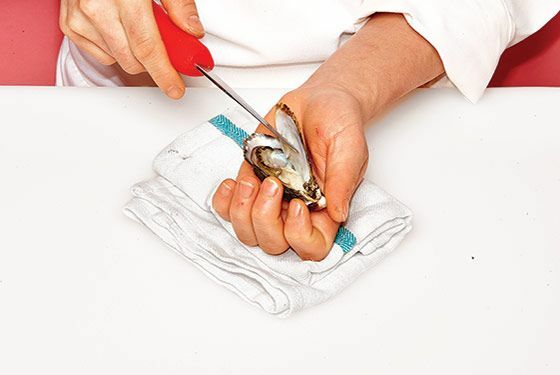 Twist your knife and shimmy your way in until the bivalve pops open. 4. 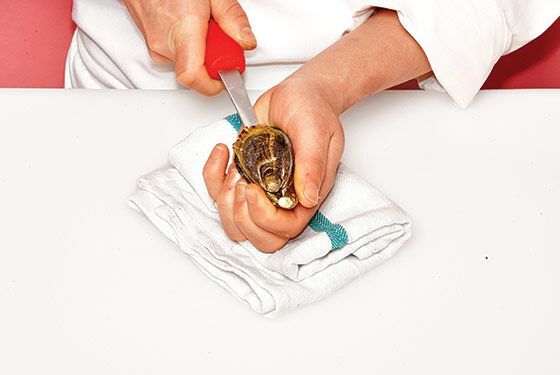 Tilt your knife and run along the inner top of the shell, detaching the adductor muscle. 5. Open oyster and check for broken shell.